Starting with a piece of 110lb white cardstock I cut it to 5 1/2 ×11 then scored it at 4 1/4. 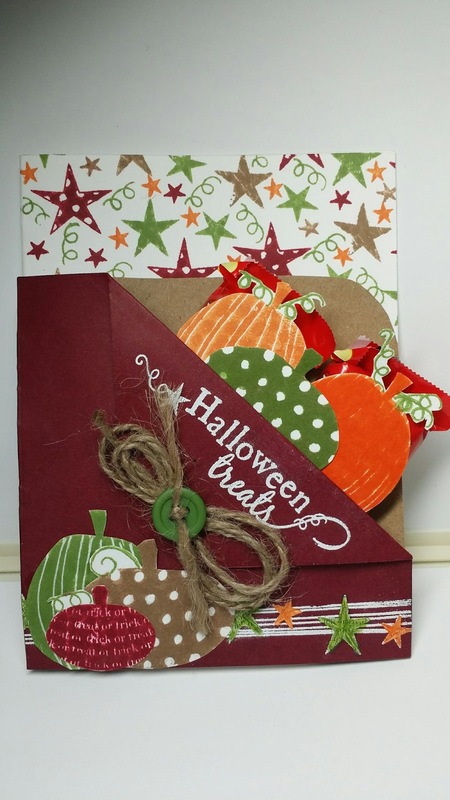 Using MFT'S Primitive Pumpkin set I created a background on my card base. 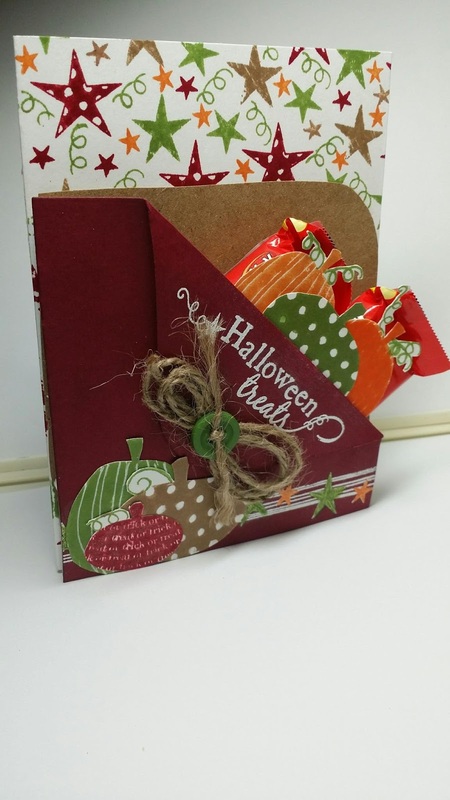 I used MFT dye ink colors Gumball Green, Kraft, Cranberry Cocktail, and Orange Fizz. Next I used Blueprints 14's square with the one rounded side and cut one from Kraft and another from Cranberry Cocktail. The sentiment and the star garland are embossed with Ranger white ultra fine. To finish the pocket I took the rounded corner of the Cranberry Cocktail piece and folded it down then added some twine and a button. Oh and I almost forgot I stamped some pumpkins in the same ink colors and fussy cut them. I added some to the pocket and in the pocket. Through in some Kit Kats and I was all finished. Thanks for taking time to stop by. Nice treat card! someone's gonna LOVE it!